Decathlon is known to manufacture good quality bicycles and cycling accessories at a sharp price point. We got our hands on the Rockrider ST 50 Mountain Bike Helmet that comes at a very low price point. If you are a beginner and are looking to buy a basic helmet that will get you started, this one could be a good option. 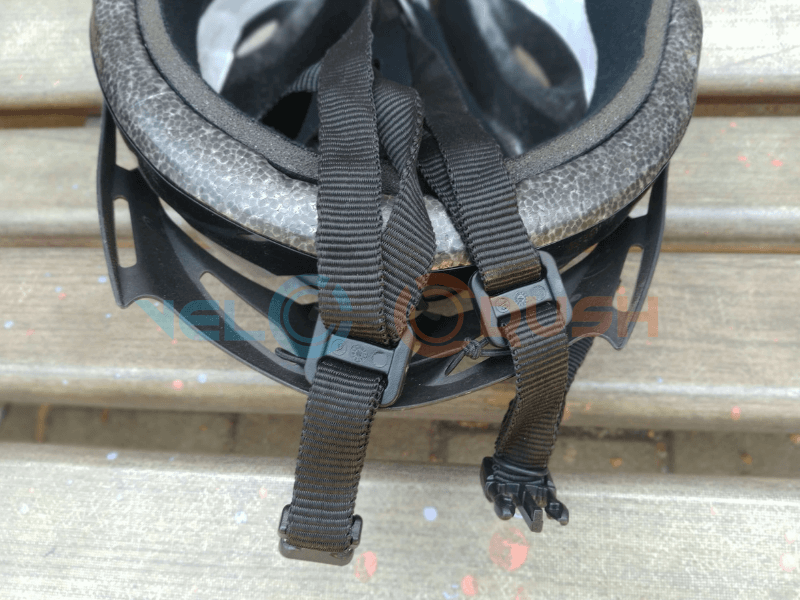 The helmet is made from Foam: 100.0% Expanded Polystyrene (EPS) Shell : 100.0% Polycarbonate (PC) Webbing: 100.0% Polypropylene (PP) Buckles: 100.0% Polyamide. 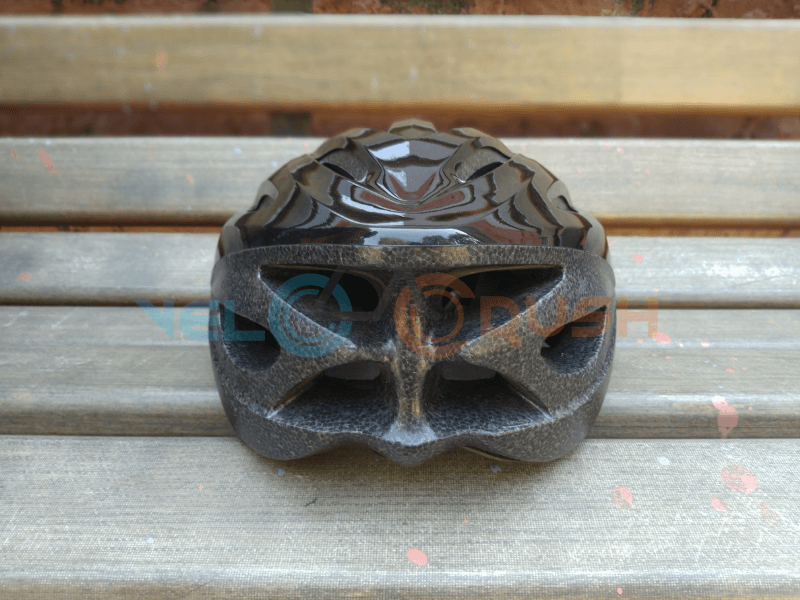 The above material surely makes the helmet pretty light and is around 240 grams. Unlike the in-mould technology where the outside and inside of the helmet is fused together as one, this helmet completely lacks the innovation. This Decathlon Bike Helmet is made in China and is available in black at all decathlon stores. 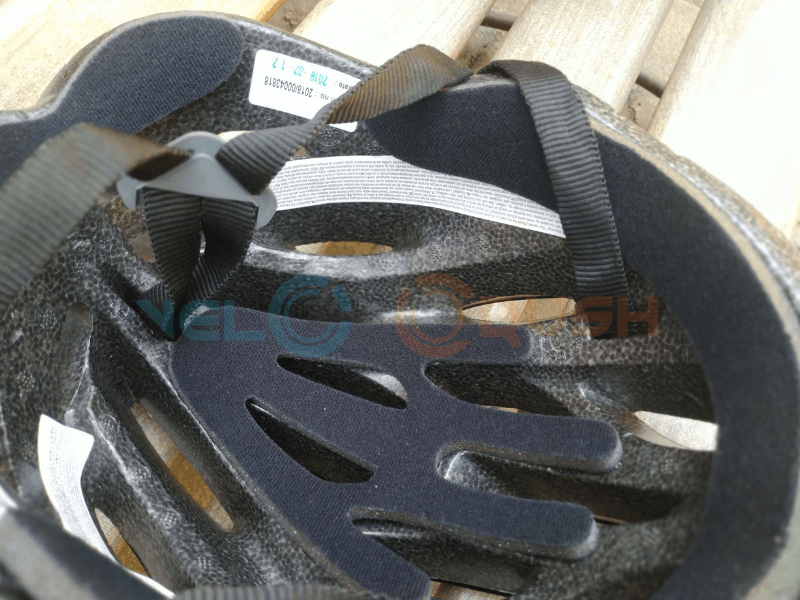 The bicycle helmet comes with 19 small ventilation holes that let air move through and keep your head cool while riding. The significance of buying a helmet is not to look cool but to keep your head safe in times of an accident or a bad fall. The helmet complies with standard EN 1078 for bikes, inline skates and skateboards. Hence, the safety offered is quite minimal. The comfort offered by this decathlon bike helmet is good. It actually feels like you are wearing nothing (keeping in mind that it is pretty new). The interiors of the helmet have a sponge padding that’s pretty thick but low on quality. This padding can be removed, washed and put back. While it does absorb the sweat, we don’t think the padding is going to last long. Read the Btwin Aerofit 900 Review. The straps of the helmet are attached directly to the interior of the helmet. This makes them pretty strong and leaves no chance of coming off from the helmet. The helmet comes with a sliding pallet and 3 buckles that let you adjust the fitting to a certain comfort level but not the best. Besides, the quality of the straps a pretty decent and get the job done. Like any other MTB helmets, the Rockrider ST 50 does come with a visor that protects you from the sun rays. 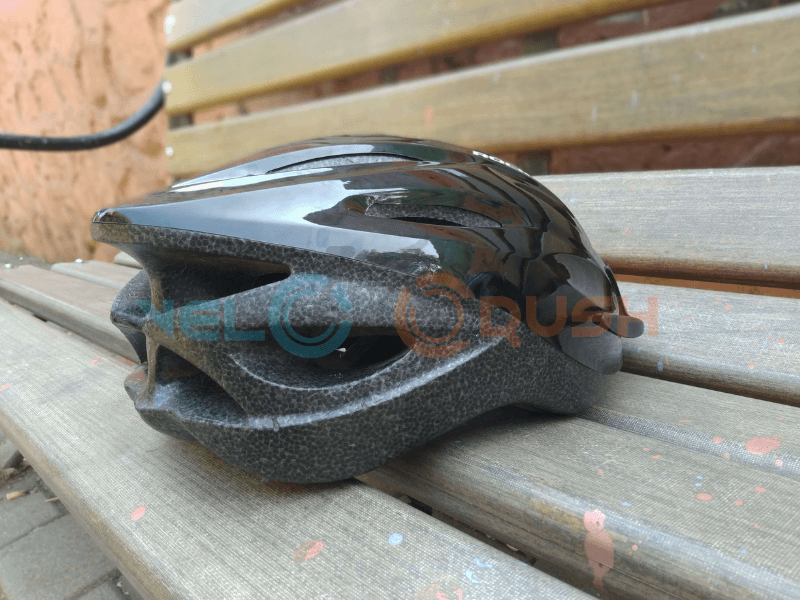 Are you looking to buy a helmet or do you have any questions related to this decathlon bike helmet review? We will be around to help you answer!